Veteran Scott Piercy took the second round lead at the CJ Cup at Nine Bridges on Friday with world number three Brooks Koepka lurking in second place. The 39-year-old Piercy defied his world ranking of 252 to fire a bogey-free seven-under-par round of 65, moving to nine under for the $9.5 million US PGA tournament. But Koepka, US PGA Tour Player of the Year, sits just one back after his own 65. He finished with a flourish, picking up an eagle at the par-5 18th following a booming tee shot. "I feel like I struck it really well," Koepka said. "I putted really well. My iron play was very consistent and I gave myself good looks. "If you can put it on the fairway and give yourself a good look at birdies, these greens are so good you're going to make a few putts." The conditions at the Club at Nine Bridges on the resort island of Jeju were far gentler than Thursday's blustery first round, when just 18 players broke par. A total of 44 did so on Friday, led by Brian Harman's 64. 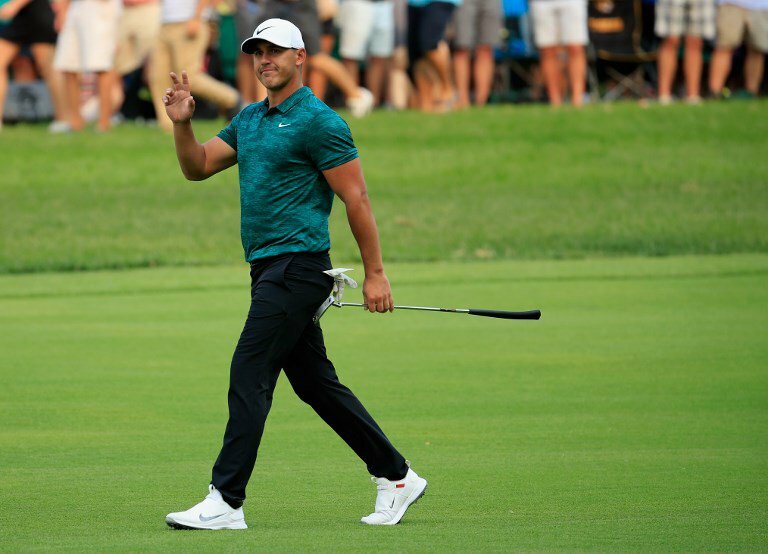 Koepka -- who averaged 313 yards off the tee last season, ranking eighth on the tour -- said he capitalised on the benign conditions with length. "If there's no wind, you can definitely take advantage of it," he said. "It brings the driver into play for me a bit more and I can fire away." "I made some putts of pretty good lengths," he added. "Hopefully, the putter will stay there." Overnight leader Chez Reavie carded 70 to move to six-under and slipped to third place, while Ryder Cup teammates Ian Poulter and Alex Noren were both at five-under through 36 holes, the Swede matching Piercy with a bogey-less 65. But England's former Masters winner Danny Willett -- who was joint second after the first round, still seeking a first tournament win since taking the Green Jacket at Augusta National in 2016 -- had a nightmare day. He dropped five shots in six holes from the second to the seventh -- including a double bogey on the par-4 fifth -- to card a five-over 77 and slump 54 places on the leaderboard.